Thank you for your interest in applying to the School of Marine and Environmental Affairs at the University of Washington. This two year course sequence begins every Autumn quarter and students are admitted to the program only during that quarter. Choosing a graduate school is not an easy nor inconsequential decision. To help you decide if SMEA is the place for you, we encourage and welcome prospective students to schedule an in-person visit where we will arrange for you to attend classes and meet with both students and faculty, so you can get a full picture of our school. Please see our Visiting SMEA page to arrange your visit. Other important information is detailed below and in the Procedures page on this site. All applications for admission for entry in Autumn quarter 2020 must be received by the School of Marine and Environmental Affairs by December 16, 2019. However, applicants are strongly advised to send their completed applications as early as possible. While there is no undergraduate major preferred as a prerequisite to graduate study at the School, many students enter the program from backgrounds in the social, technological, and environmental sciences. Individuals with major experience in the humanities are encouraged to apply as well, particularly if there is evidence of special interests and aptitudes supporting a career objective in the marine and environmental affairs area. For example, a communications background may support a career goal in marine affairs journalism; strength in one or more foreign languages may support an interest in international aspects of marine and environmental policy or resource management.The total background of the individual is evaluated as well as particular strengths and weaknesses and, in some cases, a strong background in one area (such as professional experience in the field) may balance out a less satisfactory performance in another (such as undergraduate studies). 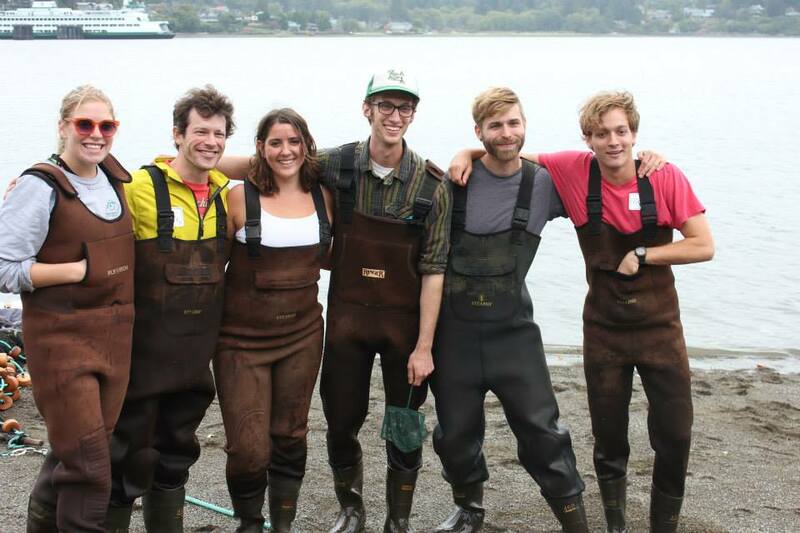 Applicants to the MMA degree program must meet the admission standards of both the University of Washington Graduate School and the School of Marine and Environmental Affairs. The ability, as determined by the University, to make satisfactory progress toward a graduate degree. Applicants will be asked to select their preference of either the Professional or Thesis track at the time they apply for admission to the MMA program, however official track selections will made within the student’s first three quarters of study, following petition by the student and approval by faculty. Admission to the Thesis track requires concurrence of a faculty advisor, and students must propose a research project and establish their thesis committee by the end of spring quarter of their first year. It is not necessary to select a faculty advisor prior to entering the School of Marine and Environmental Affairs. Each incoming student is assigned to a faculty member who will serve as the First Year Advisor and who will assist the student in planning his/her program and identifying a Capstone Project Advisor (for the professional track – capstone option), a Course Planning Advisor (for the professional track – course-only option) or a Thesis Committee Chair (for the thesis track) over the course of the first year. Any time during the first year, the First Year Advisor may be replaced by a Capstone Project Advisor or Thesis Committee Chair, who will help the student identify a capstone project or thesis committee and will direct academic work over the remainder of the student’s program of studies. An international applicant is anyone who is NOT a United States citizen or permanent resident. If you fit this definition, please check the UW Graduate School information website for important information about admission and application requirements. International applicants must be able to submit a statement of financial ability. This statement will be available upon submission of their application. The School of Marine and Environmental Affairs is not able to guarantee funding of international students. Testing: All international applicants must complete the GRE test. International applicants must also take the TOEFL exam. The exception is applicants from Australia, Canada, Ireland, New Zealand, or the United Kingdom, and those who have received a bachelor’s degree or higher from an accredited U.S. institution or from an institution in the countries listed. These applicants are exempt from the TOEFL exam. Our students are just as important as our faculty for shaping each others’ graduate education experience at SMEA. Read the Student Bios section to learn more about the people who study at SMEA, what brought them here, and what they want to do professionally.